When she was first announced as co-host of E.tv's popular game show, PowerBall, fans were delighted that they would once again get to see the gorgeous Katlego Danke. 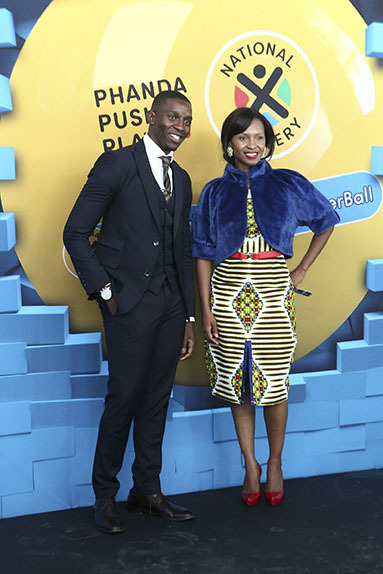 Now, fans will get to see even more of the former Generations actress because the free-to-air channel has announced that they’re launching PowerBall Plus, which will also be hosted by Katlego and Lawrence Maleka. PowerBall players now have a chance to win more money with its sister game. Both Katlego and Lawrence were at the big reveal, which took place in Kramerville, Sandton, and they looked as excited anyone standing in line to win their share of the million-rand jackpots. Tickets will go on sale from 28 November and the Live will draw take place on the 1st December.